W e are grateful to host this event on the ancestral, traditional, unceded territories of the Sḵw ̱xwú7mesh (Squamish) and Səlilwətaʔɬ (Tsleil-Waututh). Chepximiya Siyam’ Chief Janice George will be present to welcome us into the space as we move into the day’s conversations. How can we engage more effectively across differences? 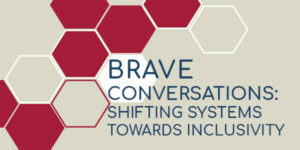 How can we begin to shift our systems – education, labour, legal, health, and others – towards more inclusive policies and practices? Join the North Shore Immigrant Inclusion Partnership (NSIIP) and the Centre for Diversity and Innovation (CDI) to learn and strategize tools for cultivating inclusive diversity on the North Shore and collectively working towards positive systems change. Hear from Kamala Todd, Cicely Blain, and Natasha Aruliah, who will lead workshops on topics of reconciliation, unconscious bias, and barriers to systems change. Full event description available here.